For research assistance, please contact University Archives and Special Collections at library.archives@umb.edu or (617) 287-5469. 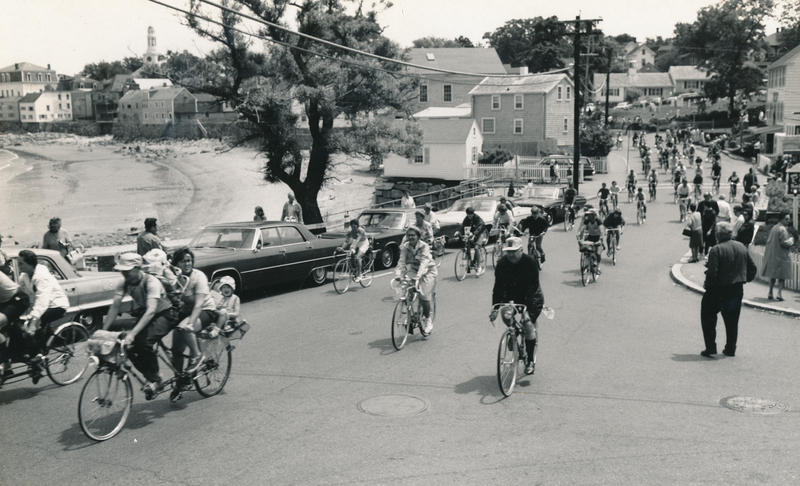 "The League of American Wheelmen/Charles River Wheelmen Rockport Rally," 1969. SC-0166 Ralph Galen papers. In the 1890s, Boston and Massachusetts had the largest per capita membership of women and men in the League of American Wheelmen. It is fitting, then, that UMass Boston is fast becoming a research destination for Boston-area, New England, and national bicycling history. As of spring 2018, we hold nearly forty collections of cyclists' photographs, letters, publications, and scrapbooks, as well as the records of the League of American Wheelmen (now the League of American Bicyclists); proceedings of the International Cycling History Conferences; and runs of The Wheelwoman, The Wheelmen magazine and other bicycling publications. UMass Boston is particularly interested in collecting materials from and about cycling communities of color, women, and movements for cycling justice. Browse and search finding aids for our processed Archival and Manuscript Collections related to bicycling history below. Contact us at library.archives@umb.edu for research assistance. Browse bicycling-related articles on our online newsletter, Open Archives News. Subscribe to our newsletter here to receive notifications of newly-processed collections. Contact us at library.archives@umb.edu if you have bicycling history-related collections that you would like to donate to us. Learn about the differences between primary and secondary sources here. Explore all of our archival and manuscript collections that document the history of bicycling. 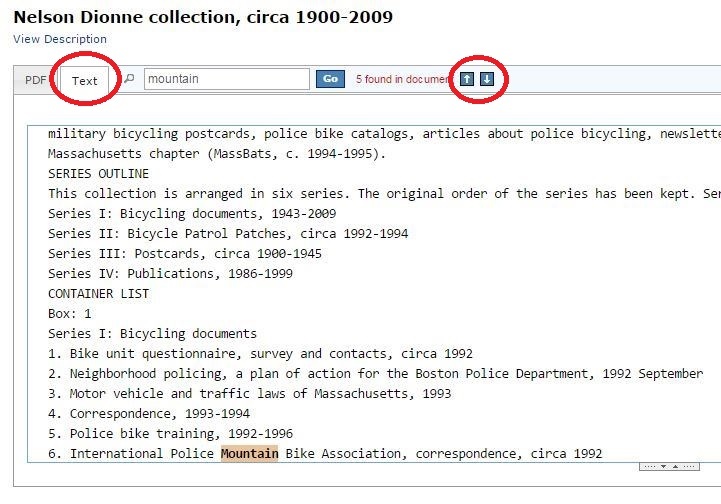 To search by keyword within a finding aid, enter a subject term (like "mountain biking" or "rides") into the search bar at the top of the page and click "Search." To view highlighted keywords that you have searched for within an individual finding aid, click the "Text" tab at the top of that finding aid's page. Use the blue up and down arrows to move between instances of the keyword in the text view. To access collections held outside of UMass Boston, search ArchiveGrid, WorldCat, and the Digital Public Library of America. Search for "bicycling" and related keywords. Available online via Ebrary (Access restricted to authorized UMass Boston patrons). 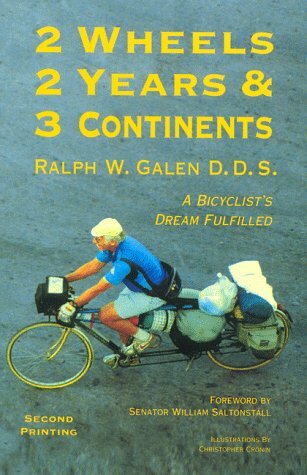 Search the Healey Library's catalog for books about bicycling. Also try searching for related keywords like "bicycle," "bicyclist," and "cycling." Search these journals for "bicycling" and related keywords. Search and browse all of the Healey Library's ejournals. Click "Ejournals" under the "E-Resources" section. Academic Search Complete features thousands of full-text journals. This scholarly collection offers unmatched coverage of information spanning a broad range of important areas of academic study including: anthropology, astronomy, biology, chemistry, civil engineering, engineering, ethnic & multicultural studies, geology, law, materials science, mathematics, music, pharmaceutical sciences, physics, psychology, religion & theology, veterinary science, women's studies, zoology, and many other fields. JSTOR's (Journal Storage) archives include scholarship published in over one thousand of the highest-quality academic journals across the humanities, social sciences, and sciences. ProQuest Central is a comprehensive multidisciplinary research database. It provides access to databases across all major subject areas, including business, health and medical, social sciences, arts and humanities, education, science and technology, and religion. The collection includes thousands of full-text scholarly journals, newspapers, magazines, dissertations, working papers, and market reports all together in one platform. Search and browse all of the Healey Library's Database List. Full text coverage of the newspaper. NewspaperARCHIVE is the world's best resource for historical and genealogical information. Our unique archive spans more than 400 years of family history, small-town events, world news and more. The Boston Public Library holds local Massachusetts newspapers on microfilm. Contact the BPL's Microtext Department at 617-859-2018 for assistance with accessing these newspapers. Search and browse all of the Healey Library's newspaper databases. Finison, Lorenz J., "Cycling Historiography, Evidence, and Methods" (2014). Boston’s Cycling Craze, 1880-1900: A Story of Race, Sport, and Society. Search the Healey Library's catalog, ScholarWorks, or WorldCat for dissertations, theses, and other scholarly works about bicycling. Search these video databases for "bicycling" and related keywords. Academic Video Online comprises the full content of dozens of video collections and bonus discipline clusters, and grows by 7,000 titles each year. Collections include Counseling and Therapy in Video, Education in Video, Latin America in Video, Theatre in Video; and many more. The video cross-search interface lets you search all the Alexander Street video in your library. Alexander Street Anthropology is a comprehensive resource for the study of human culture and behavior. Featuring cross-searchable access to the acclaimed Ethnographic Video Online and Anthropology Online collections, Alexander Street Anthropology provides Anthropologists, Sociologists and cultural historians with an expansive and multifaceted survey of the discipline. Researchers can explore a wide range of materials—from documentaries and field notes to written ethnographies and reference works. Thematic areas include: family and race, material culture, language and culture, kinesthetics, body language, food and foraging, cooking, economic systems, social stratification and status, caste systems and slavery, male and female roles, kinship and families, political organization, conflict and conflict resolution, religion and magic, music and the arts, culture and personality, marriage, gender, and family roles. Films On Demand is a state-of-the-art streaming video platform that makes it easier than ever to incorporate outstanding educational programs from Films Media Group into your library research guides, content management systems, online lesson plans, or distance. Contains Media Education Foundation collection which produces and distributes documentary films and other educational resources to inspire critical thinking about the social, political, and cultural impact of American mass media. Search Google for additional websites about bicycling.